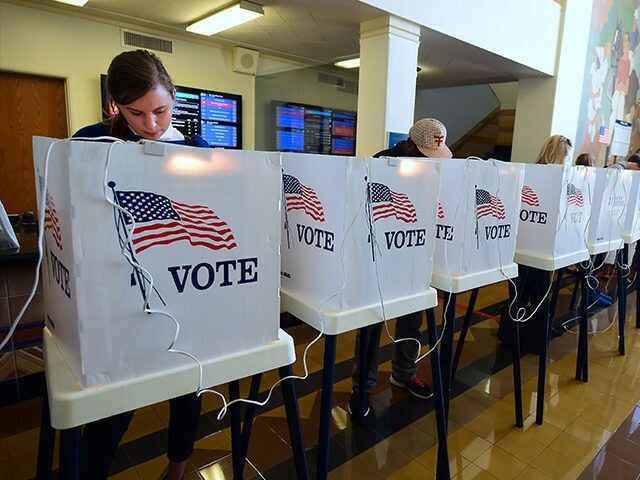 President Trump’s claims of illegal voting in the presidential election have been given further support by a new study by an independent think tank that concluded that the number of noncitizens voting in the 2008 election was higher than previously thought. The study, conducted by the right-leaning think tank Just Facts, found that as many as 5.7 million non-citizens may have voted in the 2008 election which brought President Barack Obama to the White House. Just Facts’ analysis looked again at a Harvard/YouGov study conducted in the wake of the 2008 election, which surveyed 32,000 people about their voting habits. The Washington Times, which first reported on Just Facts’ study, notes that prior examinations of the data concluded that as few as 38,000 and as many as 2.8 million noncitizens voted in that election. The study uses a lengthy series of calculations to recast the data, and also challenges a number of assumptions or alleged problems with the original study. For instance, it notes that the YouGov/Harvard data could also underestimate the number of non-citizens voting for a number of reasons as it uses Census data — which in turn underestimates the presence of illegal immigrants in the country. “The Census Bureau counts only the number of non-citizens who respond to Census surveys, and some immigrants, especially unauthorized ones, avoid such surveys out of fear of exposing their immigration status,” the study says. The Times reports that the YouGov data also assumed that noncitizens never misidentified themselves and citizens, something which Agresti believes to be false. Just Facts’ study found that the number of non-citizens voting in 2008 was between 594,000 and 5.7 million. The study also concluded that between 1.2 and 3.6 million voted in the 2012 election. If these numbers were the same or larger in the 2016 election, it could potentially account for Hillary Clinton’s lead in the popular vote — as President Trump has claimed. In 2016, President Trump comfortably won the Electoral College vote — but Democrats and Clinton herself have taken unusual solace in the fact that she won the popular vote, and some Democrats have even used it to imply that Trump is somehow an illegitimate president. Trump has, in turn, claimed that he won the popular vote if the number of those who voted illegally were excluded. Trump signed an executive order in January creating a commission to investigate claims of voter fraud.